Every year about this time, in planning for coming holidays, this recipe often comes up in conversations. We are reposting this for any of you who did not see this project before. 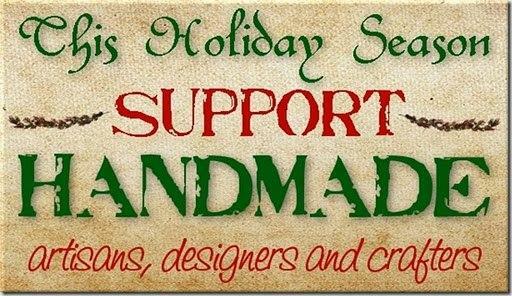 Many of you have made these, and have some good advice about mixing, shaping, drying and decorating these ornaments. You might not even use these as ornaments. I have some great alternate uses included below. First, the ingredients: You will need equal amounts of cinnamon and applesauce. 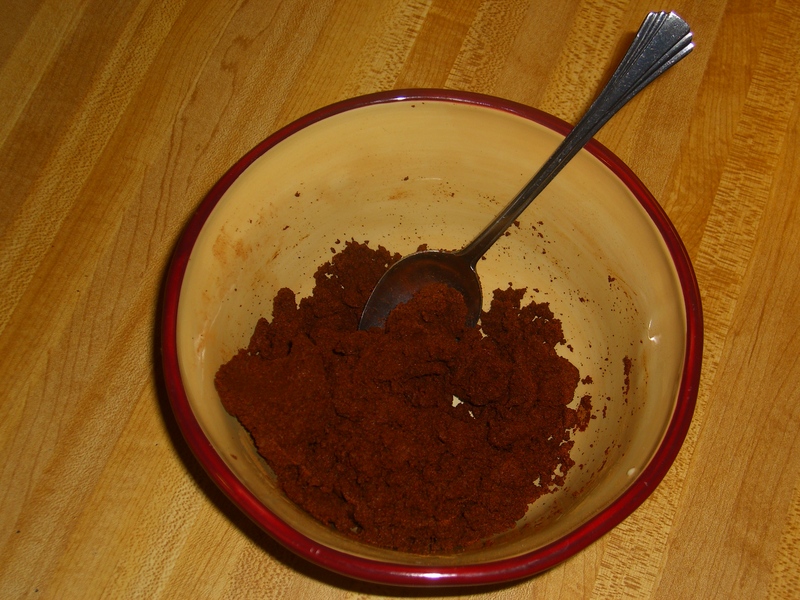 Buy an inexpensive, large container of cinnamon and an unflavored store brand of applesauce. You will also need 2-3 tablespoons of white glue. The recipe I have calls for 3 cups each of applesauce and cinnamon. This makes alot of ornaments. You may want to start with 1 cup of each. 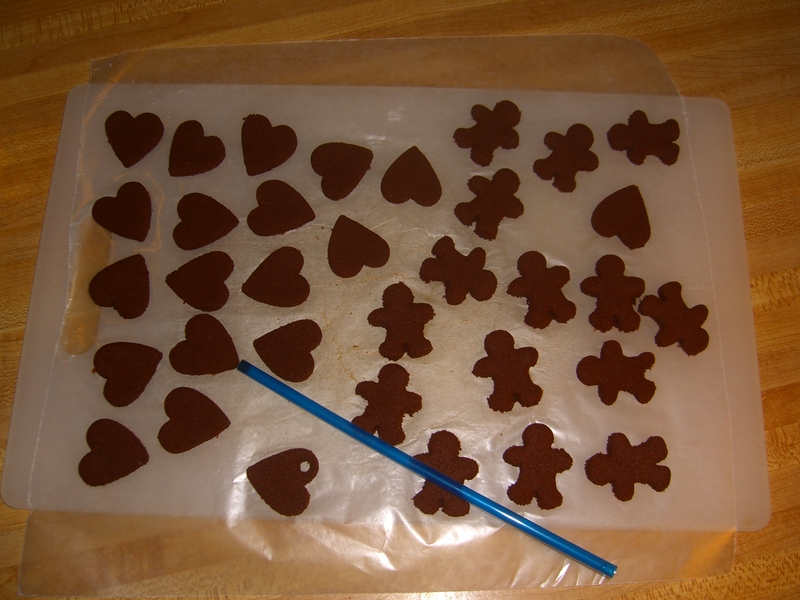 (In this batch, I am using mini cookie cutters, so I only used 1/2 cup of each). 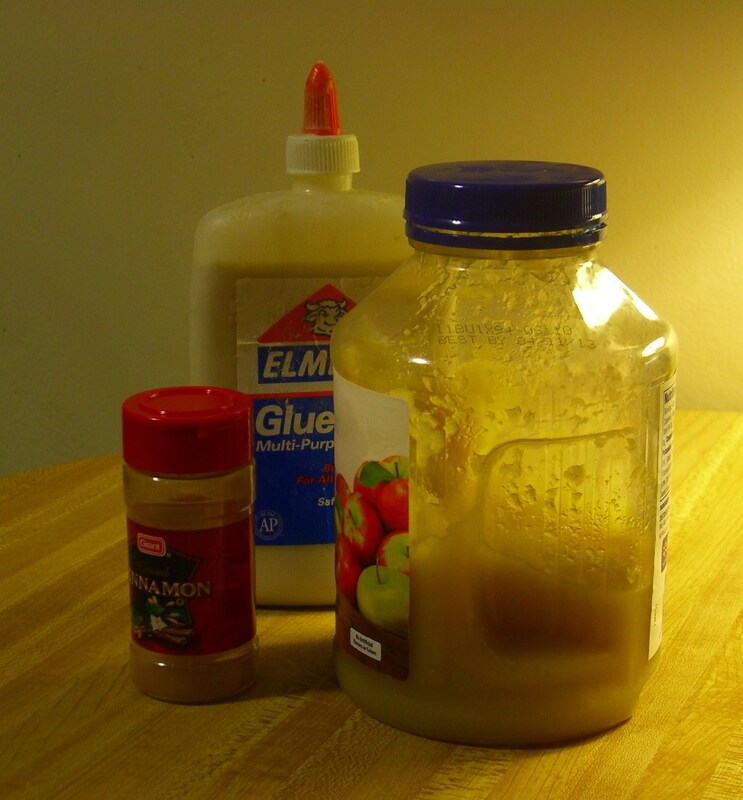 Mix together and add the white glue (use less if you are using less of the other two ingredients). Mix the dough until the mixture sticks together then knead until it stiffens enough to hold a shape when cut with a cookie cutter. Roll out to about 1/4 inch thick on a smooth surface. Use waxed paper or parchment to make clean-up easier. 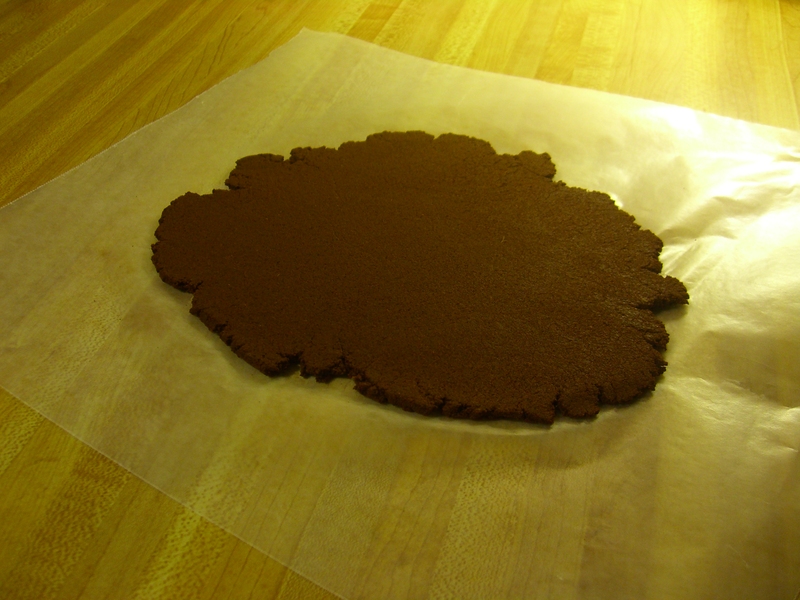 Cut to desired shape then place on a cookie sheet to dry. If you are going to make hanging ornaments, make a hole with a straw before drying. Since I am using mini shapes, a straw hole is too big, but a toothpick works well to make a small hole. Ornaments will take 3 – 4 days to air dry completely depending on the size and thickness of the shapes. When dry, this kid friendly project can be finished in many ways . . .
or just leave them plain and primitive! Besides ornaments . . . the shapes can be used as car air fresheners, gift tags, table place markers or strung together on ribbon or fabric strips as garland. 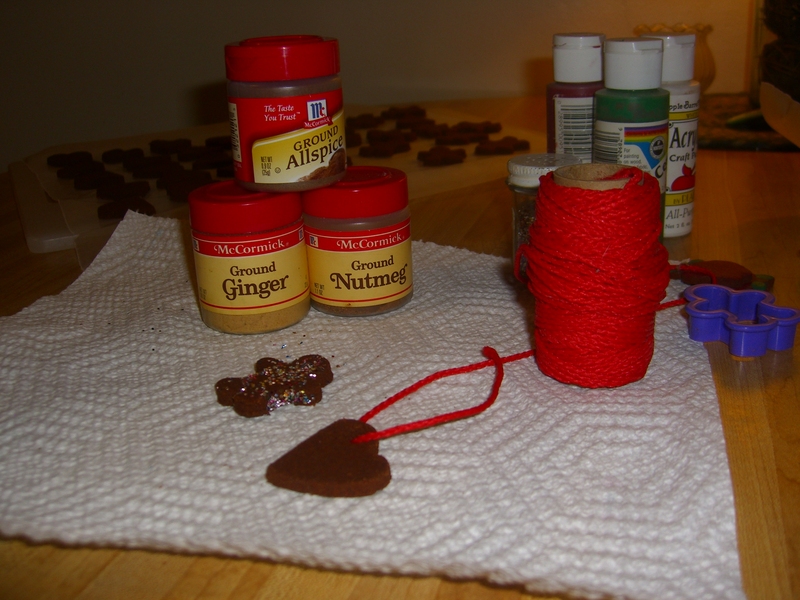 My gingerbread and heart shapes might get glued onto a wreath or candle ring. The apple shapes in the photo were made years ago, and painted with acrylic craft paint. Hint: When the dough is first mixed, you could add a bit of nutmeg, ginger or allspice (I didn’t do this, someone suggested it). And though the cinnamon scent seems to last forever . . . if it fades too soon for you, add a drop of cinnamon oil to the back of the dried ornament to refresh. 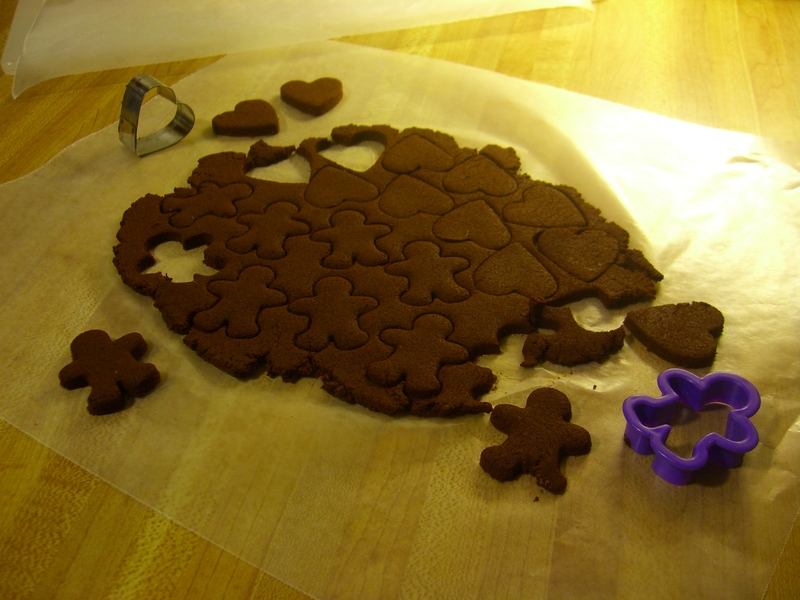 We have cookie cutters for sale — different shapes and sizes. The mini-sized cutters (pumpkins, turkeys, hearts, stars, moose, gingerbread, bears) would make great ornaments for a small tree! 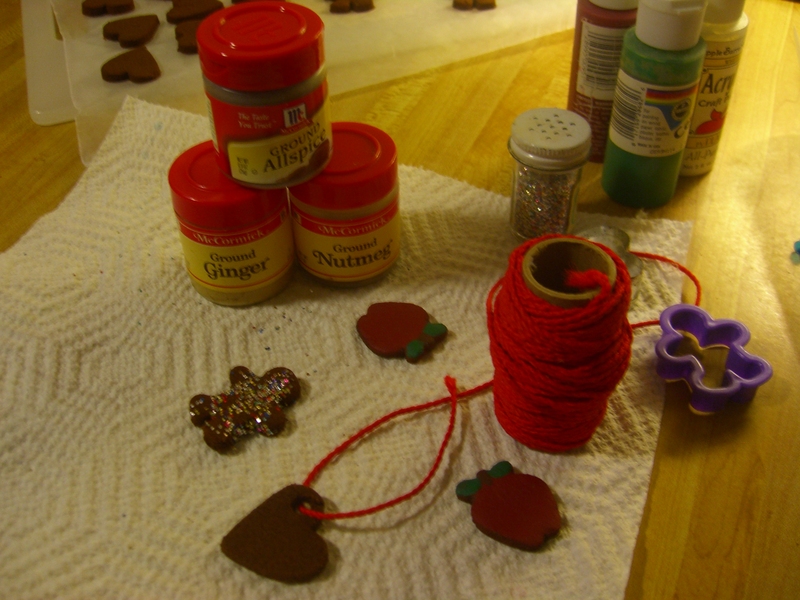 Share your own experiences with making cinnamon applesauce ornaments. Tell us the creative ways you’ve decorated them and how you’ve used them. Do you air dry them or slow bake them? Let us know — give us some suggestions in the comments below. No, this is not going to become a food blog. But, every year about this time, in planning for autumn and the coming holidays, this recipe often comes up in conversations. So, I decided, this year we will post it and ask for any comments you have about this project. Many of you have made this recipe, and have some good advice about mixing, shaping, drying and decorating these ornaments. Many of you might not even use these as ornaments. I have some great alternate uses included below. Since I am using mini shapes, a straw hole seems to be too big. But a straw works perfectly on larger shapes. Hint: When the dough is first mixed, you could add a bit of nutmeg, ginger or allspice (I didn’t do this, someone suggested it). And though the cinnamon scent seems to last forever . . . if it fades too soon for you, add a drop of cinnamon oil to the dried ornament to refresh.